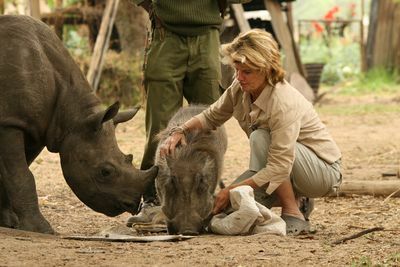 When a tragic turn of events leaves an adorable baby rhino, a tiny warthog and a hyper hyena orphaned, native Zimbabwean Judy Travers takes on the mammoth task of raising all three - in her home! 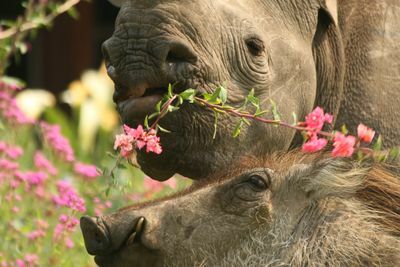 With the hyena tearing the furniture apart, the warthog in her bed and a half-tonne rhino to bottle feed, life for Judy and her husband John is turned topsy-turvy. 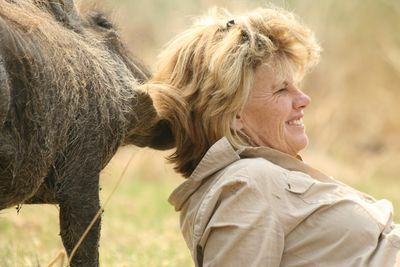 Tucked away in Eastern Zimbabwe, Imire Safari Ranch is conservationists John and Judy's 11,000 acre game park and they have made it their lives' work to give rescued wild animals a home here. 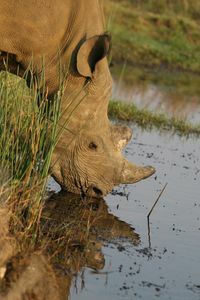 At the heart of Imire is their black rhino conservation project. For over twenty years, the Travers have been breeding these critically endangered mammals and returning them to national parks. 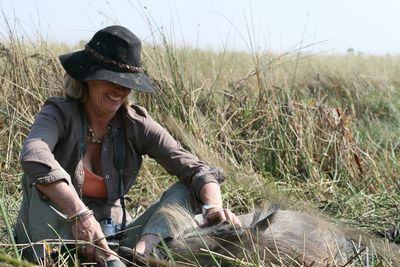 However, illegal poaching in Zimbabwe means John and Judy face a daily battle to keep their animals alive. 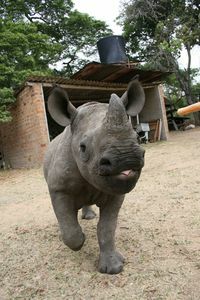 In September 2007, Tatenda became the 14th baby rhino to be born to the project. 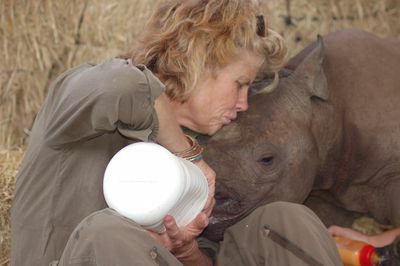 But this success was short-lived, as just weeks later Tatenda's mother is butchered by poachers, leaving the baby rhino orphaned. The Travers instantly made the decision to adopt the traumatized Tatenda, raising him in their home. In the same week, another orphan - a tiny warthog they named Pogs - also became part of the Travers' odd family, along with Tsotsi, a hyena Judy rescued when he was abandoned as a pup. 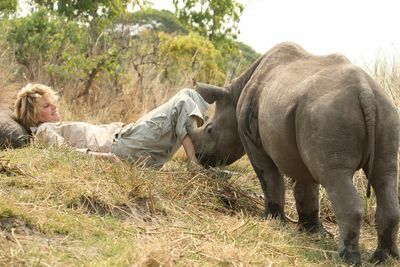 When it comes to raising rhinos in the wild, John and Judy are experts, but having Tatenda in their home brings about a totally new experience. Sunday morning at the Travers' is anything but the norm. 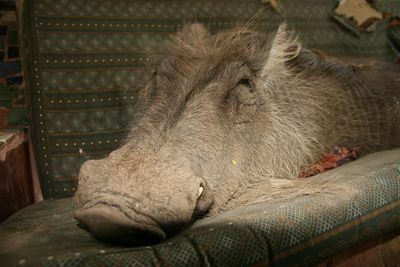 A typical weekend means waking up to a hyena under the bed... a warthog between the sheets... and a rhino wandering through the house. Having rescued Tatenda, the Travers' now face an even greater challenge - convincing him he's not a pet, as he cannot stay at home forever. For the Travers, protecting Tatenda's future is not just about teaching him how to survive - they also change the mindset of the people if the black rhinos are to have a future at all. Will Tatenda and the black rhinos of Zimbabwe have a chance? Find out on THERE'S A RHINO IN MY HOUSE.